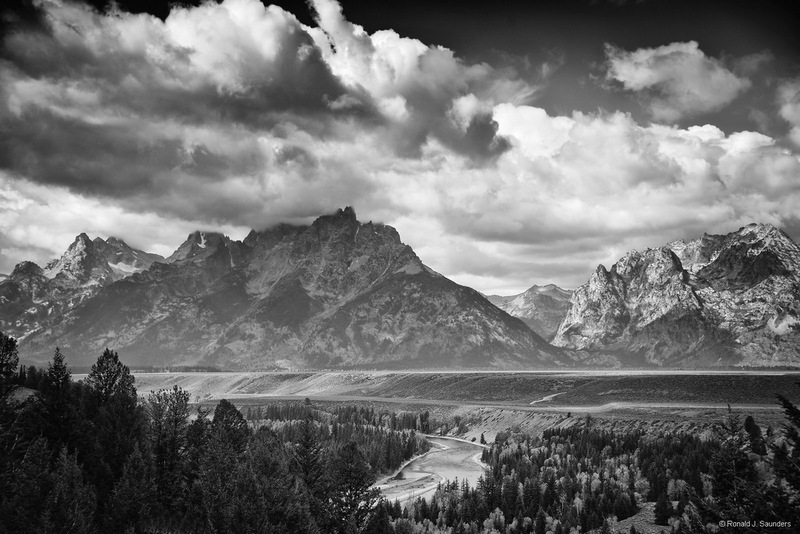 The scene has been photographed by many, including Ansel Adams, as there is a parking lot right off the highway that makes for easy access. Contemporary photographers, however, cannot get the same scene that Ansel viewed in 1942. The foreground trees now obstruct the view of the river that still runs through the scene from center to right foreground at the bottom. Photo © copyright by Ronald J. Saunders.